Redefining Moments (RM) is a pure worship concert designed to create an atmosphere for true-worship and supernatural encounters. It captures new songs and worship expressions that open us up to greater depths in God. 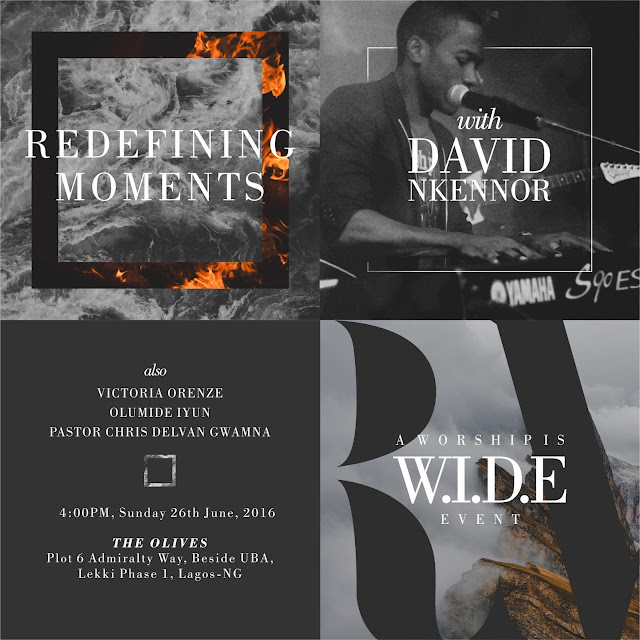 A reference point for Worshippers, Musicians and Worship Leaders, Redefining Moments has held annually since 2011 (Lagos and Abuja), and has featured prolific Worship Leaders from around Nigeria, with recorded testimonies. This edition is hosted by David Nkennor & The W.I.D.E Team, and will feature Victoria Orenze, Olumide Iyun & Pastor Chris Delvan Gwamna (from Kaduna).